​Firestorm Battlefield will be released on March 25. A trailer was dropped on March 14, hinting at some of the features of this game. How will EA DICE's battle royale game differ from other popular games in the genre? As in most battle royale games, players will drop onto the map via an airplane. This map will be the largest of any map in the Battlefield franchise and can host up to 64 players at once. Players can play in solo mode or in squads of four. Perhaps the most intriguing part of this game will be the 17 vehicles. The trailer highlighted a tractor towing an artillery piece, as well as a helicopter, amphibious vehicle, and a tank. But judging by the Jerry cans being carried by the characters, it looks gasoline will be a limited resource in the game. Squads will also fight to capture objective points, which will grant powerful weapons, vehicles, and abilities that keep true to Battlefield's penchant for destruction. Of course, Firestorm will contain all the regular mechanics of a BR, such as finding gear, reviving fallen teammates, and running from the closing circle, the Firestorm that lends its name to the title. 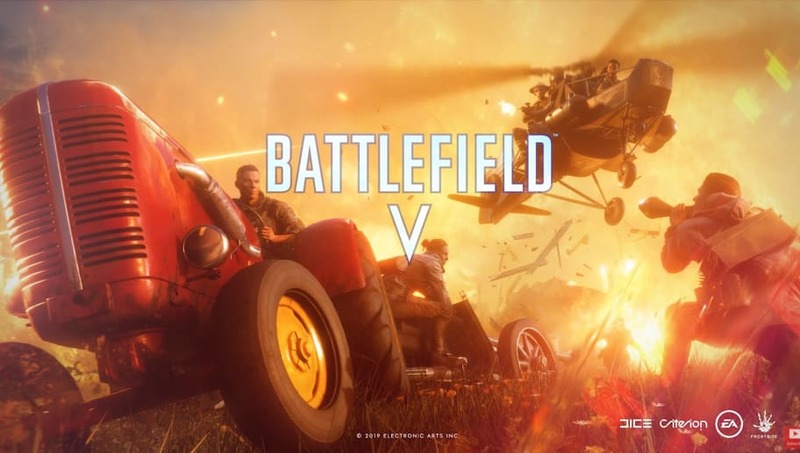 Battlefield 5 still has some new content being released on ​EA Access.​​ As for Battlefield V itself, it remains ​quite popular months after its initial release.